Brian Selznick is perhaps best known for supplying the source material for Martin Scorsese’s Hugo, and now we have another celebrated director adapting Selznick’s work for the screen. But even in the hands of Todd Haynes – whose skill at storytelling is usually of the highest order – the results are just as clawing and actually even more filled with forced emotion and excessive contrivance. Even the title, Wonderstruck, feels ironic, given how little wonder this dreary, treacly movie inspires. The story is one of two children, both deaf, making a journey to New York. One story takes place in the 1920s and the other in the 1970s, but they are, of course, intertwined in ways that reveal themselves in the film’s closing moments. This reveal is told in a remarkable sequence of animation that strangely recalls Haynes’ marvellous 1988 short Superstar. But whilst the visuals may be superb to look at, they can’t distract from the dreadfulness of the story and phoney emotions they are visualising. They simply feel like a waste; like the most expensive watercolours and brushes being used to paint someone’s shed. The visuals may be superb to look at but simply feel like a waste; like the most expensive watercolours and brushes being used to paint someone’s shed. They really are intended to distract you too, as the final section of the film, in which we discover the links between the characters – adults and children alike will almost certainly have realised it long before it is revealed – is simply an exposition dump. And without any emotional engagement or complexity in the plotting, the ending, which should be the swell at the end of a slow build, falls entirely flat. 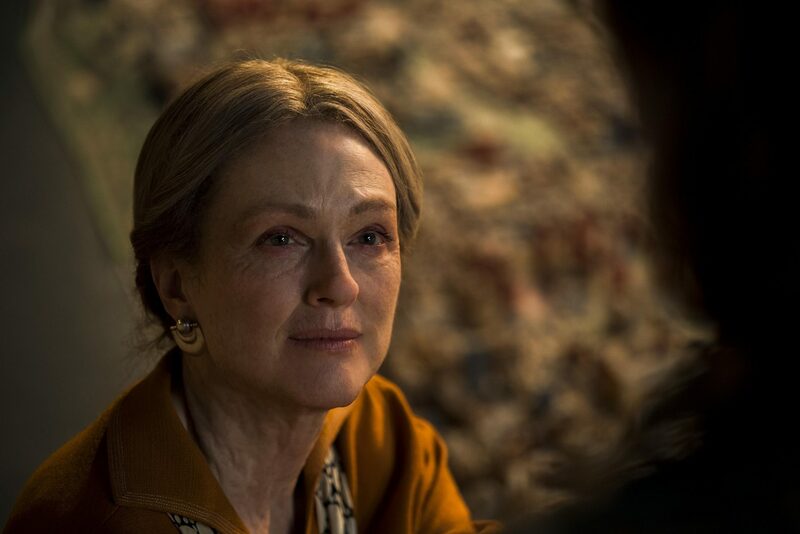 Wonderstruck is clearly intended to be something of a weepy, but lacks any emotional depth and relies heavily on off-the-shelf character beats – the young boy who doesn’t know his father seems like a trope that needs a new hook or a very good telling to not feel a little rote at this point – and an interconnectedness that is dependent on an audience swallowing one contrivance after another. The two stories are told in a way that on paper sounds somewhat intriguing – the sequence with the young girl in the 20s is in black and white and works essentially like a silent film, and the 70s sequence is in colour and mostly features dialogue and sound effects. But in practice the conceit begins to feel a little forced, laying the artifice too clear and keeping you at a distance from the characters. The editing ‘works’ in an unfortunately similar fashion, with borderline match cuts providing transitions between time periods. It all just comes across a little too ‘cute’ every time the film switches in time. The one standout – the aforementioned animated sequence and the well intentioned but ultimately wasted performance of Haynes regular Julianne Moore aside – in Wonderstruck is the score; another stunning piece of work from Carter Burwell, that does almost the heavy lifting when what we’re seeing is not really communicating what is necessary at all. It’s not enough though and Wonderstruck is ultimately consumed by the awfulness of the script. A disappointment for sure, but one that is all the more crushing when Haynes’ last film, Carol, was perhaps the best film of that year. This entry was posted in Reviews and tagged Drama, Family, Mystery on May 22, 2017 by Craig Skinner.